Your order ships for $20. Always. An exquisite nose of deep colored cherries, raspberry and dried rose petal lead to luscious mouth-watering black cherry flavors and a velvety satisfying mid-palate. A long, lingering finish of fruit and cool climate spice melts into final notes of dusty minerality that beg for another sip. Estate grown fruit aged in 50% new French oak. 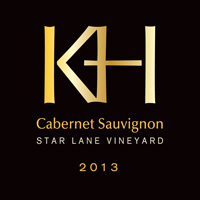 Star Lane Vineyard is located in the newly designated Happy Canyon AVA in SantaBarbara County. The vineyard’s combination of warmth, elevation, and soil typecreate a unique growing environment for this noble grape. Vaulted mountain peaksoffer respite from cool Santa Barbara County fog, and that warmth with free-draining,rocky soils combine to ensure Cabernet of masculinity and supple balance. Invitingnotes of black cherry, cassis, spice, and vanilla compliment intense well structured classicCabernet notes on the palate. A long, lingering finish leaves you wanting another sip. Aromas of lemon and golden apple with a toasty, nutty oak topcoat. Discreetly rich and creamy on the palate with flavors of baked apple, poached pear and citrus peel, finishing with a refreshing burst of citrus. 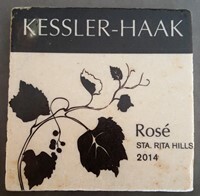 Estate grown fruit, aged in 10% new French oak. This wine's nose is earthy and hearty, with rhubarb, wild berry, tea, garrigue and a touch of game all coming into play. It's soft and creamy on the palate, with dried herb notes like thyme, marjoram and mint spicing up the plum-inflected, pleasantly rustic flavors. Bing cherry, hibiscus and hints of mint on the nose. Round in the mouth with good volume and richness and bright raspbery and plum flavors. The finish is dusty, firm, complex and lingering. 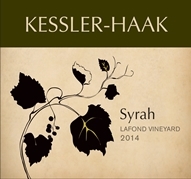 There's lots of structure in this Syrah, with brisk acis and firm tannins. It's bone dry and silky in texture, with interesting flavors of berries, licorice, sauteed mushrooms and salty smoked meat. Elegant now, after a brief decanting. This wine's delicately earthy nose is composed of dark berry preserves,black tea, violet, and dark cherry. Bright and round in the mouth, it’smiddle weight flavors of raspberry, boysenberry, lavender, and hibiscus fade to a seductive, lingering finish that will leave you longing for anothersip. This is a rich, opulent early drinker with enough backbone to handle abit of age. Drink now thru 2022. Aged 10 months in French and Hungarian oak barrels, 25% new. · Dark garnet color in the glass. Brooding aromas of dark fruits, black cherry, red plum, spicy ginger snaps and cigar. Serious purple berry sap is underlain with noticeable oak compliments. 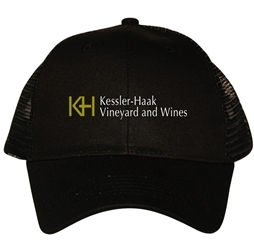 The fine grain tannins are well integrated and the overall impression is agreeable. The finish shows some length appropriate for a reserve bottling. Estate grown fruit. Bone dry, with crisp acidity and notes of strawberry, sour cherry,raspberry and mineral flavors. Great alone or with lighter fare! Our inaugural unoaked Chardonnay produced from our estate-grown Dijon clone 95 fruit! Fermented without ML and aged sur lie with bâtonnage 10 months in stainless steel barrels, this wine entices the senses with notes of green apple, pear, and white peach on the nose. In the mouth, it possesses an intriguing rounded, mid-weight texture with crisp notes of citrus, green apple, honeydew melon and cool climate spice. A lingering, mouthwatering finish leaves one longing for another sip. Sta. Rita Hills Syrah at its best with intense cool climate structure and flavors. Notes of dark fruit and forest ground on the nose and palate combined with cool climate white pepper and firm structured tannins and weight in the mouth. The finish is long and lingering. An excellent food companion with steak and BBQ. This wine retails for $45/btl online and we're offerring it at $20/btl with this deal (and your club discount brings that price even lower! - club discount will be adde after your order is placed). Drink now or give it a couple more years to grow up a bit. Sta. Rita Hills Syrah at its best with intense cool climate structure and flavors. Notes of dark fruit and forest ground on the nose and palate combined with cool climate white pepper and firm structured tannins and weight in the mouth. The finish is long and lingering. An excellent food companion with steak and BBQ. Drink now or give it a couple more years to grow up a bit. 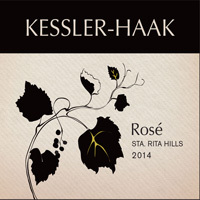 Estate grown fruit fermented and aged in neutral and 20% second use French oak Barrels. 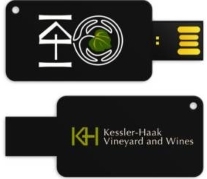 This wine is a 50:50 blend of our clone 76 and 95 Chardonnay with 100% ML and aged sur lie with bâtonnage for 10 months. Aromas of apple, pear and spice compliment flavors of Macintosh apple, pear tart, lemon curd, toasted nuts and graham cracker. Fresh and energetic, its bright acid nicely balances its rich texture, making it an ideal drinker alone or with food. This wine’s medium long spicy, vibrant and very clean finish reminds one of its coastal origins. Dark berry preserves, cardamom spice and briar grace the nose of this wine. 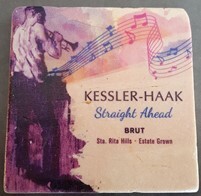 Mouthfeel is lush and round with middle weight flavors of blackberry, cassis, plum, dried herbs and a hint of earth. A lingering finish will leave you wanting another sip. Our 2015's are rich, opulent early drinkers with enough backbone to handle a bit of age. Drink now thru 2020. 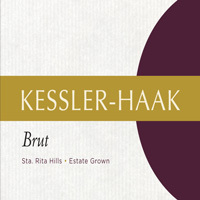 Our estate grown Brut Rosé offers gorgeous color and an enticing fruity nose of strawberries, cherries and raspberries. Soft notes of yeast and citrus; equally mirrored flavors and a relatively fine bead and mousse support a delicious, clean and dry finish. The cuvee is 100% Pinot Noir, fermented at 52F. Second fermentation was via méthode champenoise. Held en tirage for 16 months. Dark red and purple fruits meet with caramelized and brown-sugar touches on the rich and lovely nose of this bottling. The palate is fresh fruit, with black-plum-skin flavors and a dusting of white pepper, all framed in a firm dry structure. A tight, clean Chardonnay, brisk in acidity. 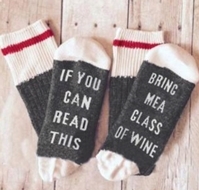 The mineral-infused fruit flavors include oranges, apricots, limes and mangoes, along with light buttery notes, a hint of toasty oak and plenty of elegance and grace in its lingering finish. Strawberry and bright cherry on the nose. The palate is framed with minerality and bright acidity, opening up to strawberry, Rainier cherry, honeydew melon and a hint of sea salt. Bone dry with crisp acidity and creamy ripe elegance. Hints of green apples and soft apple blossom scents on the nose are backed by flavors of green melon, pears and a splash of passionfruit and guava. 33% of this bottling was fermented and aged in neutral oak barrels adding a refreshing roundness from sur lies aging. Our second vintage brut from the vineyard offers a relatively fine bead and mousse with a pretty nose of green apple, pear, lemon rind, white flowers, hazelnut and a touch of biscuit. 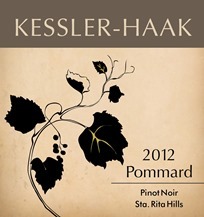 Equally pure, softly round middle weight flavors culminate in a barely off dry finish. The cuvee is 75% Pinot Noir/25% Chardonnay, fermented at 52F then held in barrel with 100% MLF. Secondary fermentation was via méthode champenoise with an 18 month tirage. The wine received a 10 g/l dosage and was disgorged December,2018. 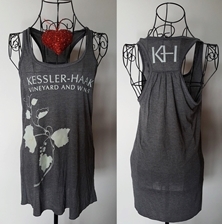 Black Tee with our tasting room's original Corkscrew artwork! Available in Med, Lrg, XLrg, XXLg. Please indicate size in the "special instructions" area during checkout. Unisex beanie. 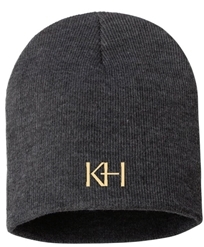 100% acrylic knit beanies with cuffs and KH logo! One size fits all. These are made of 100% high quality acrylic so they're guaranteed to keep you warm on cool or windy days. 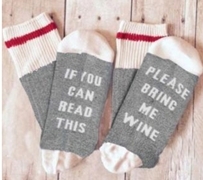 They're also resistant to wear and tear so they can be used even after many washes. Support the brand! Charcoal grey unisex beanie. 100% acrylic knit. One size fits all. 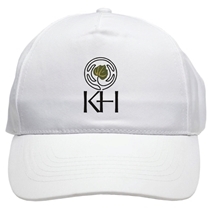 Embroidered KH logo. Support the brand! Our current release Estate-Grown Chardonnay packaged in our logo wood box. 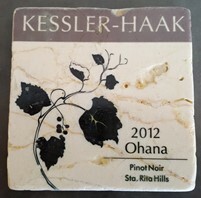 Our current release Estate-Grown "Ohana" Pinot Noir packaged in our logo wood box. This 2 bottle selection includes a bottle of our current release Estate-Grown Chardonnay and Estate-Grown "Ohana" Pinot Noir packaged in a 2-bottle logo wood box. 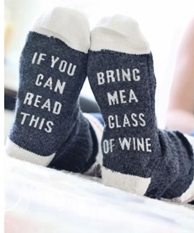 It makes a great gift for any occasion! 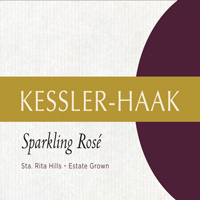 This 2 bottle selection includes a bottle of our sparkling brut rose, a bottle of our sparkling brut, and our logo sparkling stopper packaged in a logo wood box. 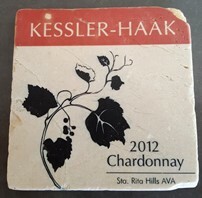 4" x 4" rustic marble coaster with cork backing. 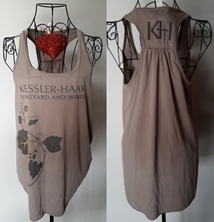 The perfect companion for that glass of Kessler-Haak wine you're drinking! 16GB USB 2.0 logo card drive that is thin enough to be transported right along with the credit cards in your wallet, tucked easily into your pocket or hang it on your keychain. Physical Size:2.39" x 0.99" 0.08"
Available in Sm, Med, Lrg, XLrg, XXLg. Please indicate size in the "special instructions" area during checkout. This item runs on the small side. Most customers choose next size up when purchasing. Available in Sm, Med, Lrg, XLrg, XXLrg. Please indicate size in the "special instructions" area during checkout. This item runs on the small side. Most customers choose next size up when purchasing.